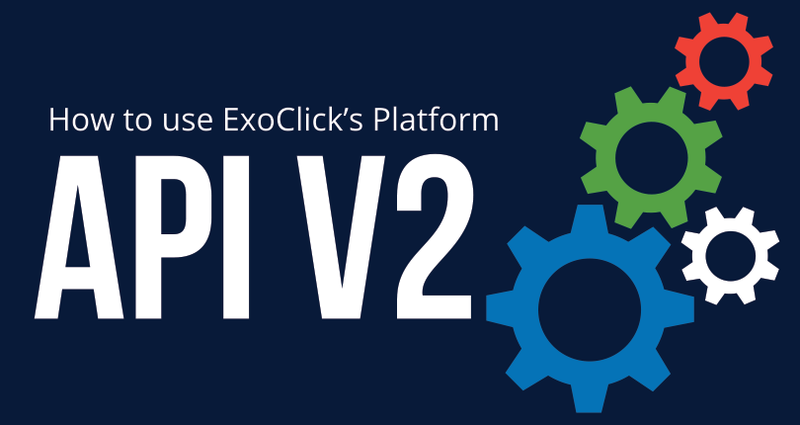 ExoClick has just updated its platform API to version 2. This latest version allows you to automate every single feature inside ExoClick’s admin panel. You can use the API for simple processes such as automating repetitive tasks to save you time to more complex projects such as changing banner creatives on the fly. 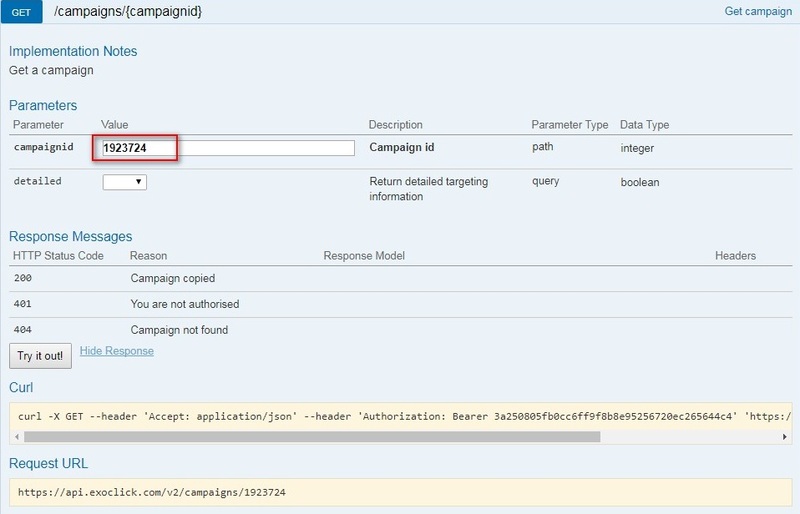 This blog post will show you how to use ExoClick’s API along with some automation examples to get you started right away! 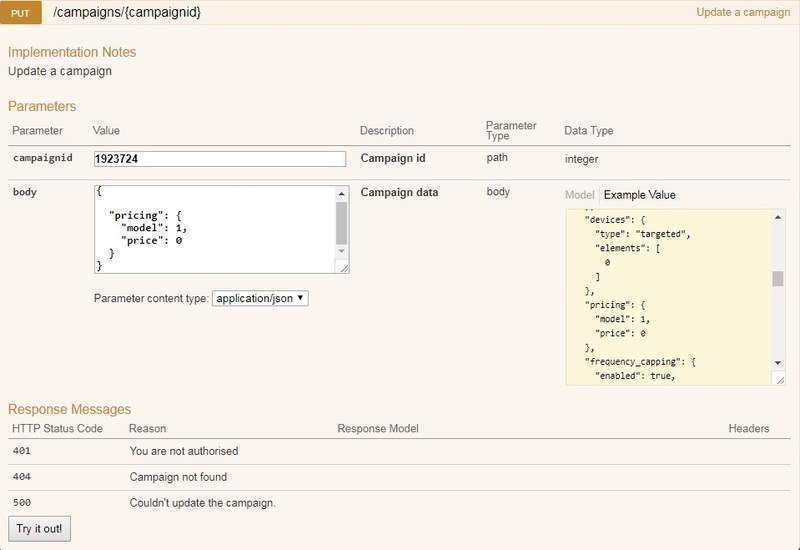 Individual/group campaigns, variations, offers, ad formats. 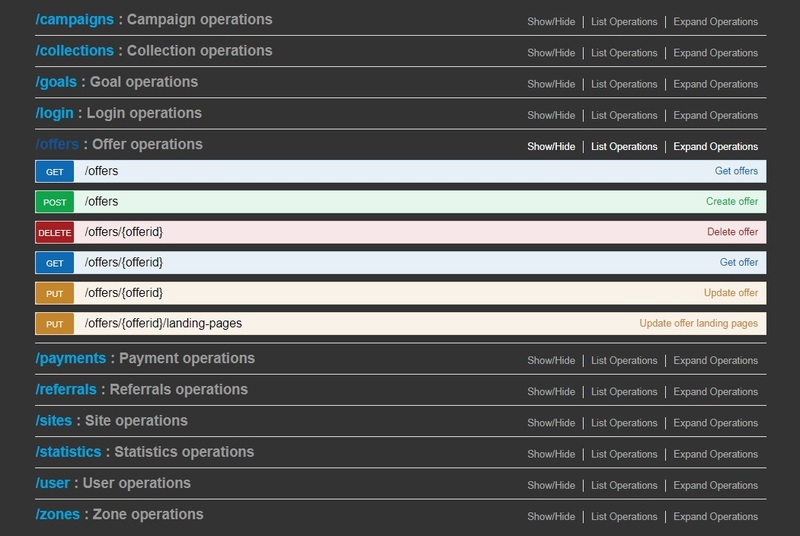 Targeting/blocking of targeting options, categories, day parting. Pull stats including adblock user data. Daily budget, account funding, payment types. Landing page name, url & traffic share algorithm. Ad formats and ad zones. Block ad types & product categories. Pull all stats including adblock user data. Bidding prices per ad format/GEO, pricing models. The API interface is accessible from this link and it shows a list of group titles; click on a group and all the available options will drop down. The API supports the following subset of HTTP verbs. Please note that not all features will support all verbs. In order to access restricted API requests, there must be a Session Token set. To set a token, you must have a valid ExoClick account. The API Token creation is available under your My Profile menu. Select API Tokens. Click on New API Token. Type in the name of the Token, for this tutorial we have called ours ‘testToken’ then click Save. The Token id is created. 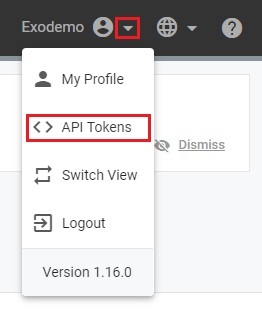 In the API interface, click on the ‘Login’ button at the top right of the screen and enter your username and password or provide an API token. 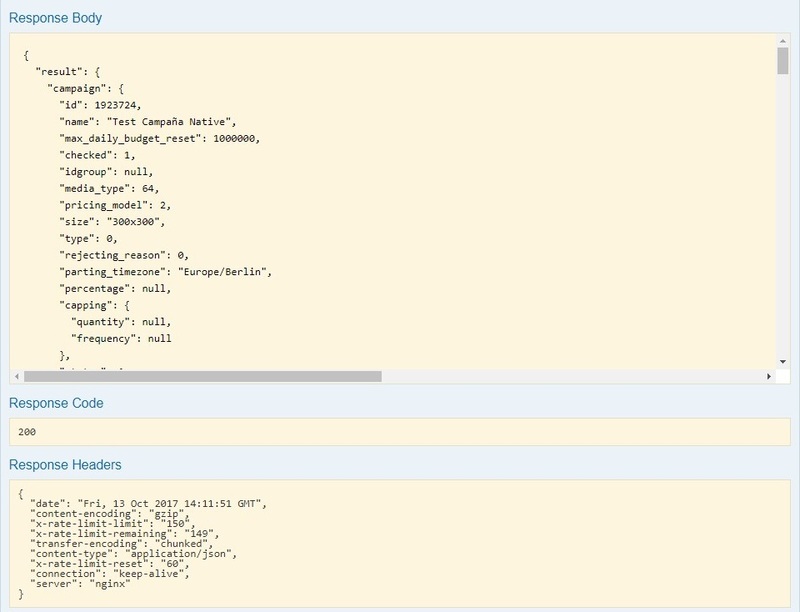 Click ‘Send’ and a login request will be sent to the API to retrieve a valid session token. This token will then be used to validate all API requests you wish to make during the session. 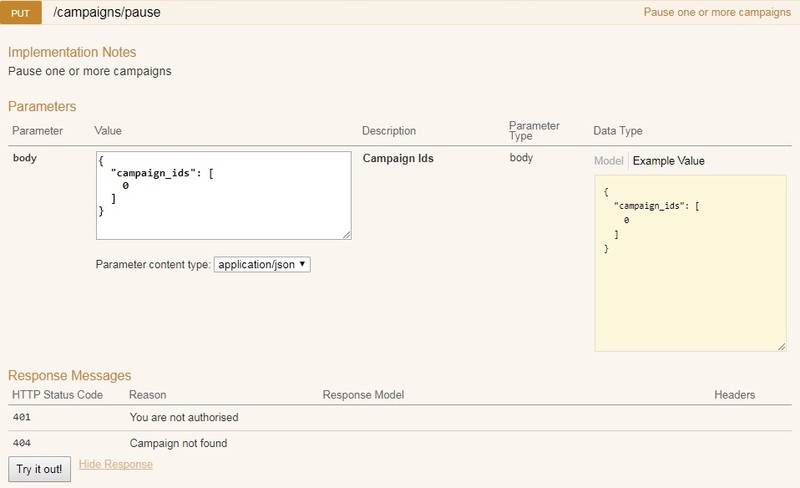 Then click on the Try It Now button, the Response Body will generate the code automatically. A Response Code of 200 means it is ok to use. 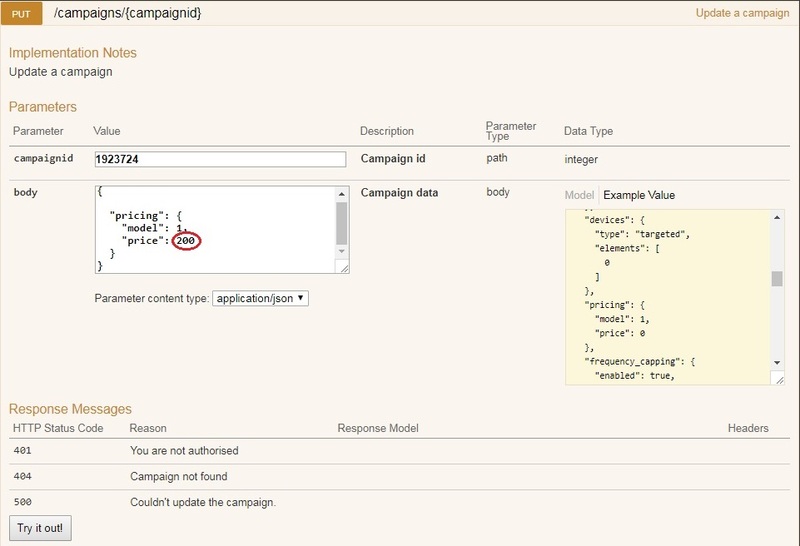 Click on Pause one or more campaigns, once opened click on the Example Value, then click on the yellow box, this will automatically paste the json structure into the body box. Now the current value is zero, so now change the zero to the CID that you want to put on pause. Then click the Try it out button to generate the code needed. Click on Update a campaign, to open the window. 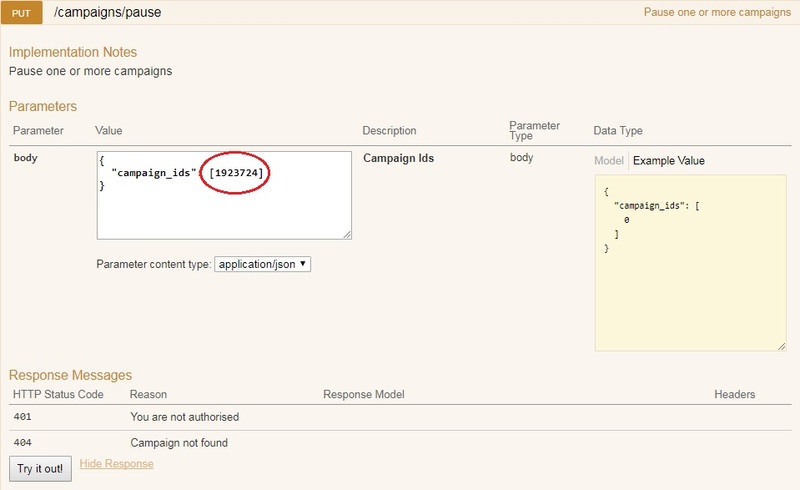 Add the CID in the campaign id field then click Example Value, click on the yellow box which will copy the json structure into the body box. Now we need to change the price from 0 to the price we want, we are going to change this to 200 which means the new price will be 200 cents or 2 euros. Then simply click the Try it out button to generate the code. Easy! As you can see the API is packed full of features to automate, the only limit is your imagination to unlock the power of automation. All of the technical documentation, API manual, API Interface and PHP Client are available from here. Finally make sure you subscribe to our API newsletter which you find at the bottom of the API interface so you can get the latest news and updates.